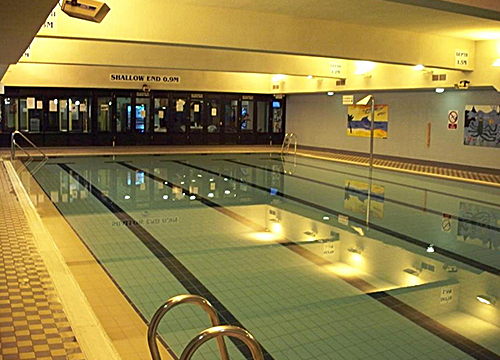 Bakewell has superb 20m x 10m pool, perfect for those looking to swim for fun, swim for fitness, learn to swim or improve your technique with our fantastic swim school. 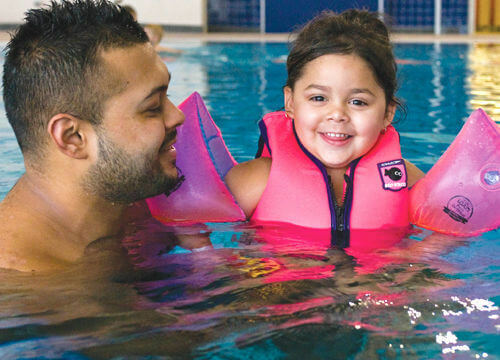 Swimming is a great activity for the whole family to participate in together. All ages and abilities can enjoy splashing around and practicing the essential life skill of swimming. Splash Out Fun Session- a fun session which includes our inflatables, toys and floats. Family Splash - a session just for families with our toys and floats. Toddler Splash - a session for parents with children under 5 years. Small toys and floats are provided for parents and children to play together. Pool Party Hire Time - hire our swimming pool, including floats and toys for birthday parties, groups or just between friends. Aqua Fit - uses water resistance to improve cardiovascular fitness and will also help tone those problem areas. Perfect for those looking for a fun packed class with no impact. S.W.E.T - Serious Water Endurance Training. Circuit based exercises to improve stamina, tone muscle, weight loss and quickly work towards the body you've always wanted. for more detailed check our pool time table below. Swimming is a great activity for the whole family to participate in together. 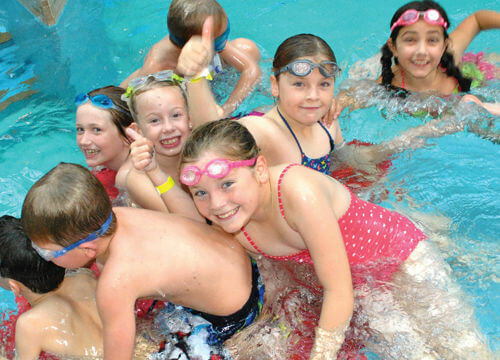 Have fun splashing around and practising the life skill of swimming. Cool down on hot days and enjoy a fun indoor activity in the cold wet months of the year. The whole family will enjoy the time spent together in the pool. Regular swimming sessions can help to improve your overall health and strengthen your heart. 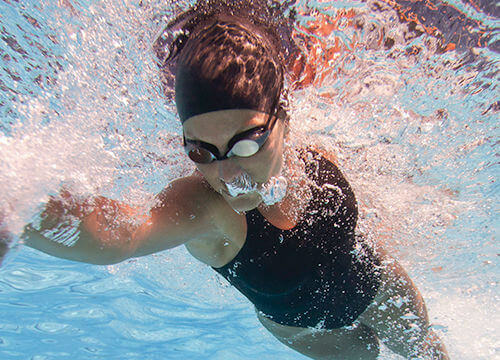 Swimming is a great form of exercise for the whole body. The swimming pool provides a great environment for warming up or cooling down after a gym workout but is also a very effective exercise in its own right. The water provides additional resistance for your muscle groups to work against and supports some of your body weight reducing the strain on your joints. A gentle swim can burn over 200 Kcal in half an hour and regular weekly swimming can lead to improved sleep patterns & lower stress levels.